Sarah Talbot never thought she'd live to see another birthday. But through indomitable will and expert medical care, she has beaten the cancer and reopened her bedding boutique, Cloud Nine. In celebration, Sarah's friends give her a special present: a ride over her upstate New York town in a chartered plane. It is on this flight that Sarah meets Will Burke, a former Navy pilot, whose outward confidence hides the wounds he has yet to heal. A bond is forged between them. 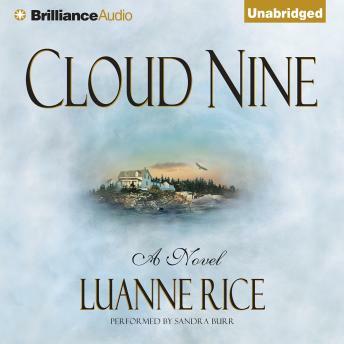 Now Sarah, determined to complete her recovery, decides to visit the isolated Maine island where she grew up -- and where the two most important people in her life, her father and her son, are waiting. Will joins her quest. But the journey will be a heart-wrenching test of her courage, and becoming whole will require the one thing Sarah can least afford: time.